If you read this and are expecting a story with a character like Claudia from Interview with the Vampire or Eli from Let the Right One In you’ll be disappointed. The children vampires of this tale don’t even really begin to act like vampires in the sense we have of them til the very end of the book. 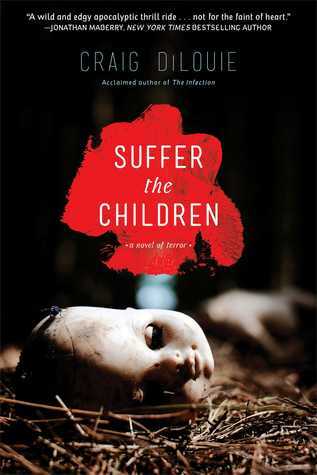 The real horror of this book is the premise itself: what would you do if your child came back to life and the only way to extend their life – even if only for an hour at a time – was to give them blood? This book is really about looking at the collapse of society as that primal instinct to protect your children, even if you know that they are already dead and are “living” on borrowed time. The thing that I loved about this book is the very slow build. The first third of the book is us getting to know the characters – focusing on the adults – and the initial deaths of the children. We even get time with the grieving parents. In fact, we don’t really start getting demands for blood until almost half-way through. I think this may cause some to find the book too slow, but I think the pacing is perfect. By grounding the story so well, the horrors of the situation strike that much harder. These are real people, living real lives, and these are there children and by giving the set up this much time, it becomes so easy to put yourself in their shoes and think about what you might do in their place. If some of the break down seems a bit of covered ground, I’m okay with it, because the author does also do a good job of building up the desperation as blood becomes harder and harder to obtain. There is some attempted commentary on the wealthy, but it isn’t over the top and it’s the kind of bitterness you’d probably see in this kind of situation, so it didn’t bother me too much. And finally, although I don’t normally care for explanations for this kind of thing – over-explaining can often ruin that thing (hello midichlorians) – I thought his explanation worked decently well. He chose a decent vehicle and left enough vague and not-understood so that it more pings the BS meter (making it easy enough to accept) as opposed to making you want to yell IT DOESN’T WORK THAT WAY. In short, if you’re looking for a different spin on vampire stories, give this one a look. It’s easily the most horrifying take on the genre I’ve read in a while, because it’s ultimately about human nature and how it can turn us into unintentional monsters, while the child vampires grow because we can’t let them go.